The Mitsubishi L200 manages to remain at the top of the pickup truck class despite the number of high-specification newcomers. The model has distinctive styling and provides almost car-like sophistication. Still, it is a tough and durable machine capable to tackle all kind of terrains and tow like the champ. The redesigned L200 arrived for the 2016 model year but Mitsubishi is constantly improving this truck in order to stay in the game with stiff completion. The latest upgrades for the 2018 version were improved towing capability and the latest infotainment system. Thanks to that, the L200 now matches the towing abilities of class leaders and also delivers the latest tech sophistication. However, the 2019 Mitsubishi L200 is expected to introduce some styling tweaks and interior upgrades. The powertrain could also gain some improvements. The Mitsubishi L200 isn’t the prettiest truck on the road but what is sure it looks distinctive and has plenty of attitude. The truck is based on the previous generation underpinning but the latest generation upgraded the structure with use of modern, lightweight materials. The new version won’t make radical changes on its structure but we should see the slightly tweaked front and rear fascias. The prototype of this truck hasn’t been caught on the road yet but the latest reports suggesting slightly tweaked front and rear bumpers as well as the lighting units. The grille should also come with some new details. What won’t change, the L200 will return in three cab styles and in the same dimensions. 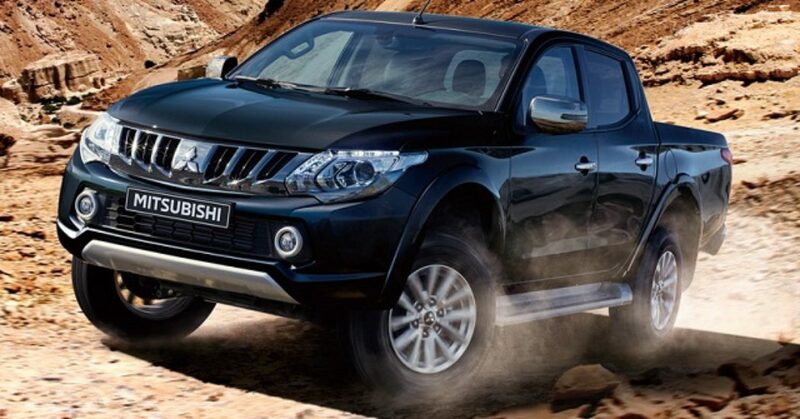 The current L200 version has durable and spacious cabins and also offers nice interior detailing. The new version should upgrade some of the dated switchgear and add new materials and textures. The dash has simple but efficient and nice design and we won’t see big changes here. The latest infotainment system also arrived for the 2018 version. The system supports smartphones integration, voice control functionality, traffic information, etc. The truck also offers dual-zone automatic climate control, powered and leather seats and some of the active driver aids. For the new model year, the model could gain additional advanced safety equipment. The 2019 Mitsubishi L200 will see the return of the 2.4-liter turbodiesel four-cylinder engine from the current version but some upgrades are possible. The engine has a modern design with variable valve timing and variable-turbo geometry. The engine should again come in two versions. The less powerful option now delivers 151 hp while more, 178 hp and 430 Nm of torque from the second option provides stronger performance and driving refinement. Mitsubishi might tweak engines to produce more power and torque but more details will be known closer to the launch date. What is sure, the new L200 will come with the two-wheel drive option and neat Super Select four-wheel drive. The model will match class-leading towing capability and will be able to deal with harsh terrains. The new 2019 Mitsubishi L200 will hit the market in late 2018. The current version starts from £19,000 but a slight increase is expected with the new version.